I love my kids’ school photos–for all the wrong reasons. The last one my son had, he looked like he hated the photographer. My daughter always has a weird cheesy smile. What are your childrens’ photos like? Do they make you laugh too?In studio, I can take more time with the kids, it’s not one long procession of kids. Even my daughter tells me “you don’t have to buy the school photo mom, yours are better.” Love her! And while I love those photos from school, they are def. not going on the wall. I prefer to keep them for maybe blackmail later. You know—that big page in their senior yearbook filled with the photos of the past. In studio, I can take more time with the kids, it’s not one long procession of kids. Even my daughter tells me “you don’t have to buy the school photo mom, yours are better.” Love her! 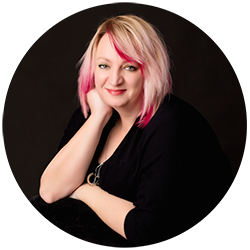 If you’re like me and would prefer a more custom experience and not run of the mill and cheesy, why not consider taking some professional headshots at the studio instead? Below are just some of the differences between school photos and studio portraits. School Photos: Your child’s school photos are usually shot in front of a generic, sometimes from the 80s background. These backgrounds tend to be distracting and move the focus off your child completely or just look flat out dated. Studio Photos: Shooting professional headshots in a studio means you have the option of choosing a more classic backdrop, something that keeps the focus on your child. Or updating the photos with a bit of color. Let your child’s blue eyes shine with a blue backdrop. School Photos: When it’s time to take school photos, kids are called up one at a time, placed in a standard pose and told to smile in front of a complete stranger before being rushed back to their classroom. In our studio, we do not only a headshot, but full body photos and try to get a little more personality out of the kids. Studio Photos: Our studio takes the time to make your child feel more comfortable in front of the camera, which results in a natural expression and smile. 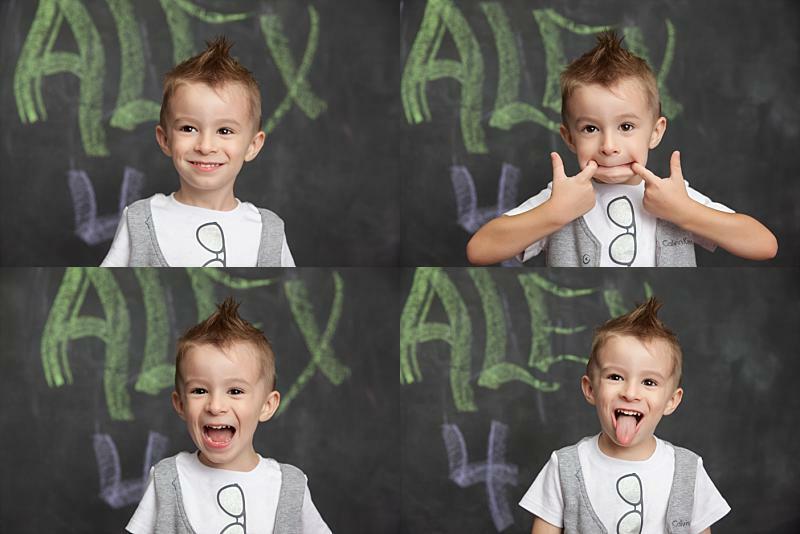 We also try a variety of poses so that you walk away with more memorable portraits of your kids. School Photos: When you receive your child’s school photos you usually get one or two standard photos in various sizes. There is nothing unique or special about the photos and they usually end up in a drawer in the house if you purchase at all. 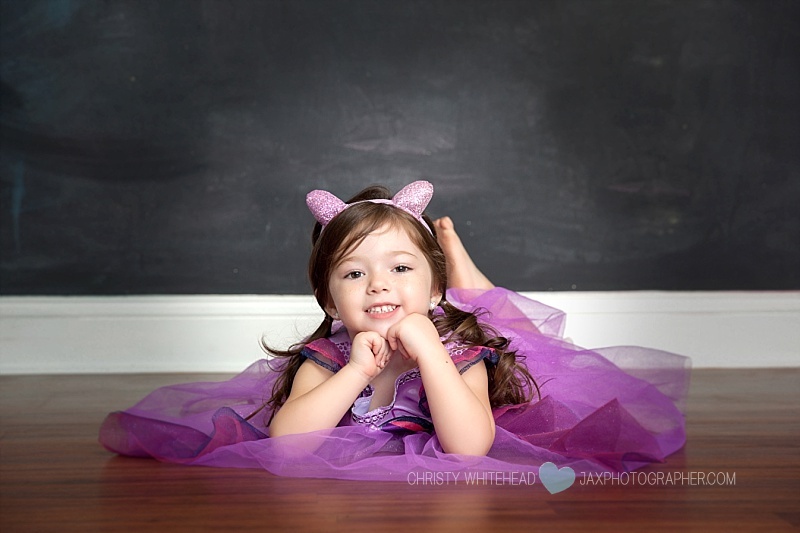 Studio Photos: I not only takes a variety of photos of your child but we spend time editing them too. Did your kid cut his chin—no worries, we’ll edit that out for you. Love one pose, but like his smile on another, no worries. We are a custom studio and will help you get the perfect photo. These images are something you can proudly display in your house, and show off your child’s true self. Contact us today to set up your own custom portrait session. 904-891-0359. Dr. Cristina Padilla contacted me a couple of months ago needing portraits for her business to showcase what she does. She wanted to feature them on her blog, Facebook and Instagram. I happened to be looking for a chiropractor at the time but was having an issue finding one that worked with my schedule since you typically have to drive out to their office. Our meeting came at a perfect time. Dr. Padilla just recently got an office space, however, she mostly makes house calls! Padilla has been practicing for almost 5 years. Her husband is a chiropractor in Amelia Island. I received Chiropractic care as an athlete during my teenage years and had a great experience. After undergrad, I wanted to stay in the healthcare field and in 2010, a friend suggested I explore a chiropractic college in NY state. At that point, I planned on working with athletes after graduation but as I went through the program at New York Chiropractic College, I learned about all the amazing benefits Chiropractic and Alternative Medicine offer children and women during pregnancy. I underwent a post-graduate 12-course program with the International Chiropractic Pediatric Association (ICPA) to become certified as a Pediatric Chiropractor and a Webster Technique Chiropractor. Side note (from Christy), if you are a pregnant, contact Cristina, I had the Webster technique done to me at least once a week during my last pregnancy and birth was sooo much easier, not to mention the chiropractic care helped with a lot of the pain I was having! What is your favorite part about chiropractic care? Chiropractic, in its core, focuses on enhancing the bodies ability to heal and to manage physical, emotional and chemical stress. The fact that I help people reach their maximum health potential and become the best version of themselves every day is absolutely rewarding. I love being part of a woman’s journey through fertility or pregnancy and empowering families to seek alternative methods of healthcare for their children. I underwent 14 months of training in Pediatric and Pregnancy Care, additional to the 3.5 years of Chiropractic education. I am certified in the Webster Technique for pregnancy care, which is a Chiropractic-specific protocol to prepare women for an optimal birth experience by aligning their spine and balancing their pelvis. I am also certified in Kinesiotaping by Kinesiotape International. I use this technique mostly in my pregnant patients and in athletes. You’re a mobile chiropractor, is that common? In Jacksonville it is very uncommon. Because the majority of my practice are busy professionals, children and pregnant women, being mobile allows me to provide convenient care for my patients, without the added stress of taking time off of work, traffic and missing school/work to be able to receive the care they need. My mission is to help families and children express the best version of themselves with good health, a positive lifestyle and healthy practices. I think this is all summarized in helping families thrive. Buying a home in Jacksonville (ideally in Springfield! ), starting a family and partnering up as a chiropractor with a birth center! What is your favorite thing to do around Jacksonville? I love checking out local coffee shops and breweries, being outdoors–going to the beach, riding my bike, going for runs. When your family comes to town, what is something you guys always do together? We always go to St Augustine. I love the historic neighborhoods and it reminds me of home (Puerto Rico). I don’t have one specific one but Disney’s Lion King, Love Actually (a Christmas staple), Juno and Under The Tuscan Sun are some of my all time favorites. Some of my all-time favorites are “Let It Be” by the Beatles and “Eso es vivir” from La Secta, a puertorican rock band. Chocolate hummus (yum!) and the Backstreet Boys new album, DNA. I listen to it almost every single day. I’m a total BSB fan. My girlfriends and I bought tickets to their concert in August! Puertorican, all the way: mofongo, tostones de pana and my mom makes the best “ternera”, which is a meat stew. But I can eat Mexican every day too! Anything with chocolate, especially cakes or a baked good. In Jacksonville, I love Lime Leaf (Thai), Latin Creations (Puertorican) and Cantina Louie. In St Augustine, I love Taverna del Caballo (Spanish/Tapas). Favorite place to hang out in Jacksonville? I live on the Northside of Jacksonville. I like going to the local breweries, Wicked Barley is my favorite but I love hanging out in Springfield. I am a huge fan of the historic neighborhoods.